It is time to announce or favorite templates for Keynote, PowerPoint and Google Slides that we could find on the web. This year it was more about quality than quantity for us. 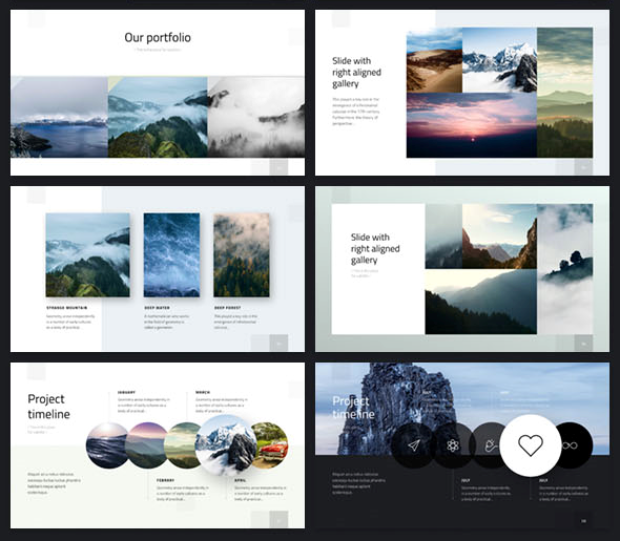 Rather than looking for templates with a thousand masters slides, we wanted the most beautiful presentation master templates regardless of how many slides or color options they have. 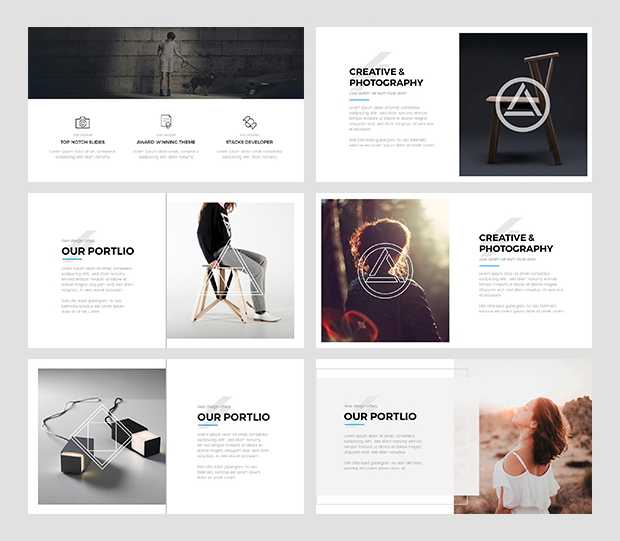 The Verzus Keynote Template by LouisTwelve-Design on Graphic River is a striking template that we fell in love with for its sharp lines and monochromatic color schemes. It feels very dramatic and almost magical, admittedly due to some of the beautiful photos used to present the template, but the angles, shapes and stark colors is what makes it one of our favorite templates of the year. 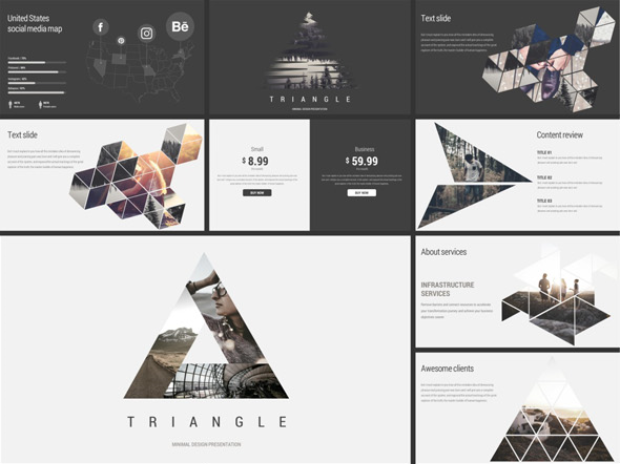 The Triangle template by Evgeny Bagro may not be the most popular template on Graphic River but it certainly made it on the ‘most beautiful template’ list. It has a very nostalgic feel and we loved the monochromatic, vintage – dare we say ‘Instagram’ feel. As you would expect, it contains a lot of triangles and perhaps it is this arty feel that hinders its popularity. 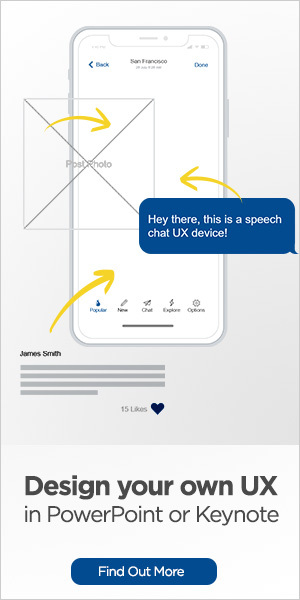 It is however a gorgeous presentation and we can see it work very well for a presentation where the images play more of a wallpaper role than a functional role in your pitch, such as a VC pitch or a high level medical presentation. 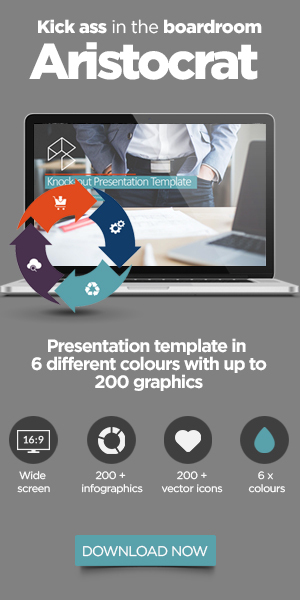 The fact that this PowerPoint presentation template is NOT one of the most downloaded templates of 2016, blows our mind. It is definitely beautiful, it is certainly unique without being over the top risky and we LOVE the blue Mark used in this template. Great work, wonderful template! 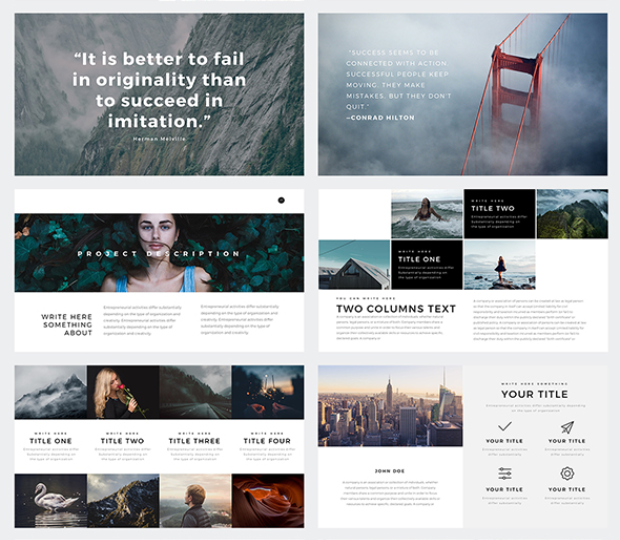 This is the second time Evgeny features in our best of 2016 templates and like the Grids-Minimal template it has not accumulated hundreds of downloads but we think it is a beautiful presentation with lots of interesting and unique masks and master options. Very monochromatic and perhaps that is why it lacks in popularity but also the reason we think it is one of the most beautiful. 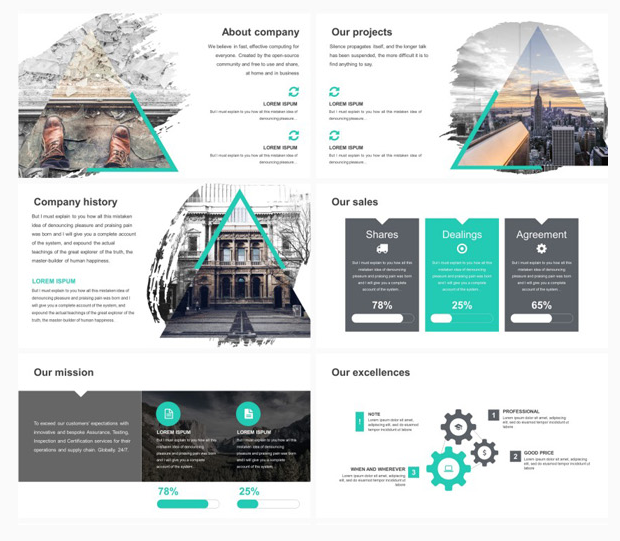 Although we weren’t crazy about the intro to the template in Graphicriver (too many distorted representations of the actual template) once we scrolled down we were delighted with how the template looked. It has an elegant but bold feel that is beautiful and unique. 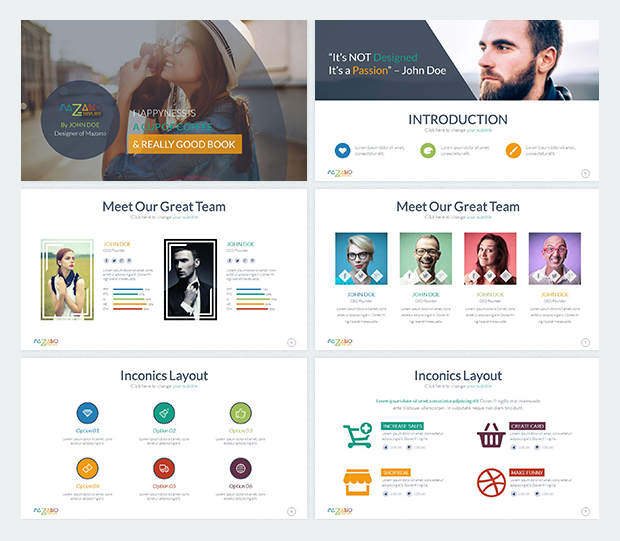 It also concludes our list of best PowerPoint template designs of 2016. Although the majority of our favorite presentation templates tend to be more monochrome and niche, we managed to find at least one colorful presentation. 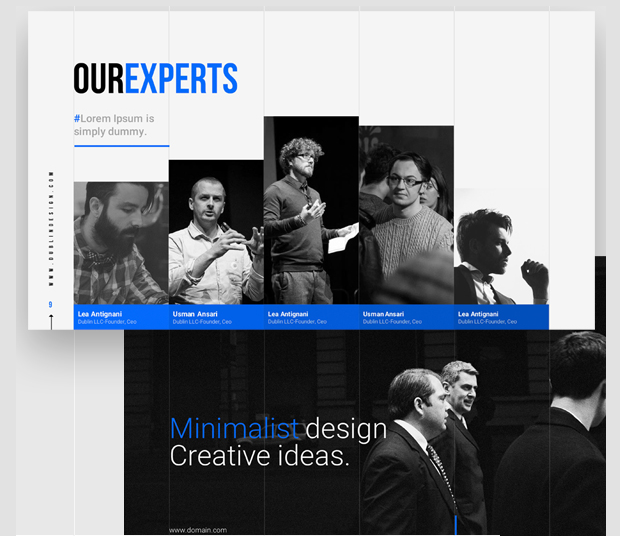 We think Ocvembor did a splendid job of using a lot of color and still delivering a classy beautiful template. 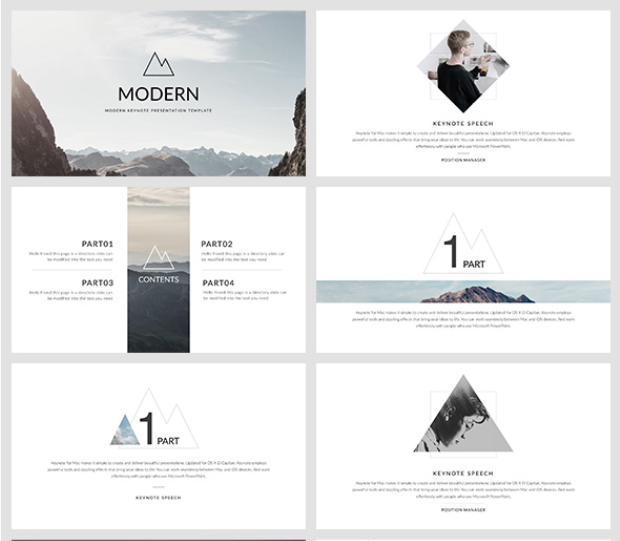 The Geometry Google Presentation Template by ReworkMedia is also available on Graphic River like all the templates in this list. We think this is a nice subtle template that could work well for more earthy / green presentations as it does have a slightly feminine touch that we liked. We loved the Rio Google Presentation template for its originality, use of interesting shapes, colours and various interesting composition configurations. It looks like a template that can be used over and over again with different options and it probably wont get old quickly. 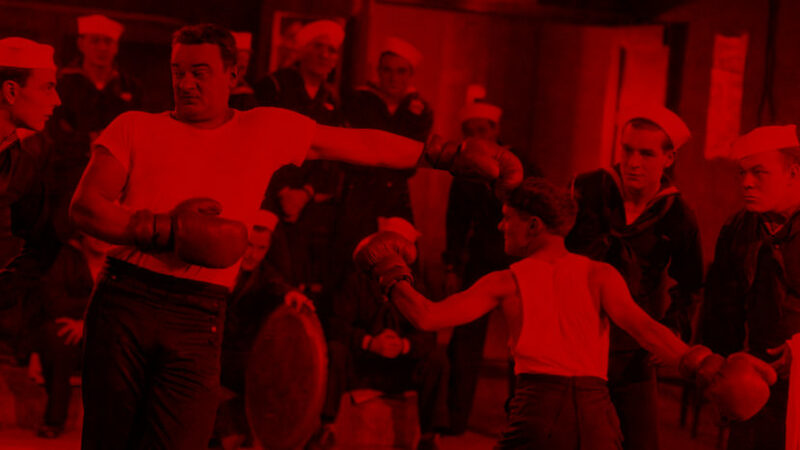 How to deliver a knockout presentation (video).